Babe Liza's Birthday Slumber Party + Swimming Session! 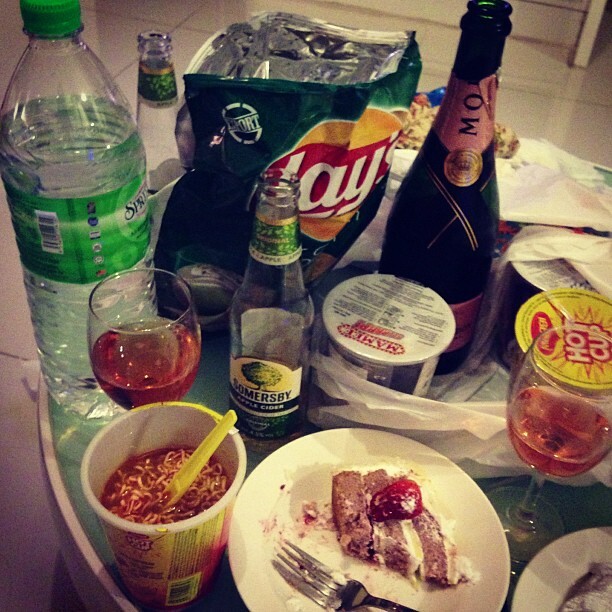 Apple cider + champagne + instant noodles + snacks = fatty heart-to-heart talk night! Hey Nana, just asking, did you wore contact lenses while swimming?